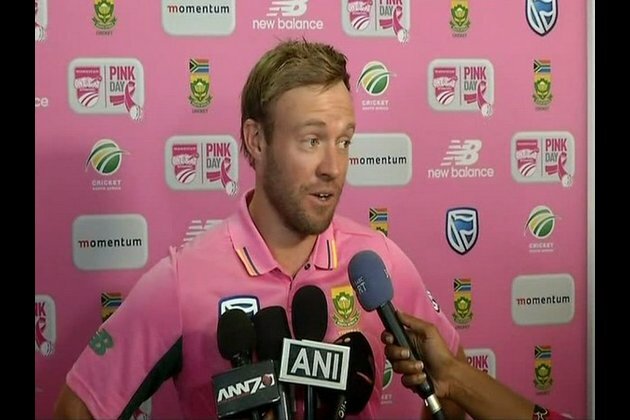 Johannesburg [South Africa], Oct15 (ANI): Former South African skipper AB de Villiers is all set to take part in the upcoming Mzansi Super League. The confirmation came after the Cricket South Africa (CSA) shared the list of the South African players, which included De Villiers's name, on their official Twitter handle. The list also included the names of big stars like Hashim Amla, Faf du Plessis, Kagiso Rabada, JP Duminy, and Imran Tahir. "Exciting times coming up in the @MSL_T20. The Proteas marquee players are: @amlahash - Durban Heat @KagisoRabada25 - Jozi Stars @ABdeVilliers17 - Tshwane Spartans Imran Tahir - Nelson Mandela Bay Giants @jpduminy21 - Cape Town Blitz @faf1307 - Paarl Rocks MSLT20," CSA wrote on their official Twitter handle. Other overseas-based players like West Indies stars Chris Gayle and Dwayne Bravo, Afghanistan spinner Rasheed Khan and the England trio of Jason Roy, Dawid Malan and Eoin Morgan have also been included. The month-long tournament will take place from November 16 to December 16. Last month, the right-hand batsman had signed up for the upcoming season of the Pakistan Super League (PSL).